The cello is without a doubt one of the most beautiful sounding instruments out there. It’s very popular in modern music but holds a fascinating, long history. 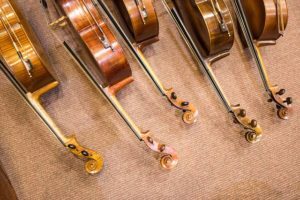 If you are interested in learning the cello or are just curious about it, read on to learn these interesting facts. 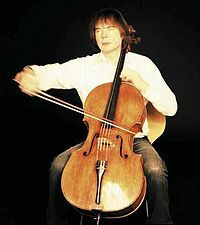 The word cello comes from the Violoncello. An Italian word that really means “little large viola.” The plural word for cello is celli or cellos. It’s the second largest instrument in the string family. 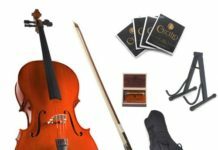 It’s origin date from the 1500s and up until the end of the 17th century, the violoncello was the lowest-sounding instrument of the viol family. However, this group of instruments ran out of fashion and were replaced by the violin family, a group of much larger sounding instruments. 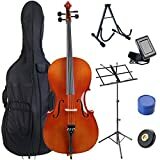 In this family, the cello became the second lowest instrument. 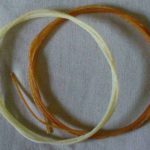 The strings of the cello were originally made with sheep and goat gut. This is no longer the case, and now cello strings are made from metallic material. The cello is tuned in fifths. 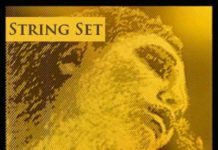 The one strings are – starting from the lowest one – C G D A. It is tuned at the same intervals as the viola, but one octave lower. The King: created by Andrea Amati, it’s one of the oldest known cellos. It was built between 1538 and 1560. It is currently in the National Music Museum in South Dakota. Davidov Stradivarius: It was made in 1712 by luthier Antonio Stradivari in Cremona Italy. Jaqueline Du Pre owned it but didn’t like its unpredictability. 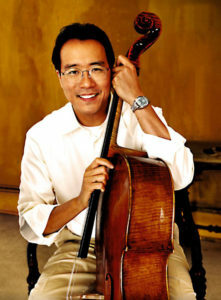 It is currently being loaned to Yo-Yo Ma who commented that “Jackie’s unbridled dark qualities went against the Davydov. You have to coax the instrument. The more you attack it, the less it returns”. Barjansky Stradivarius: This cello also created by Antoni Stradivari is named after Russian cellist Alexandre Barjansky, who played it during the first half of the 20th century. 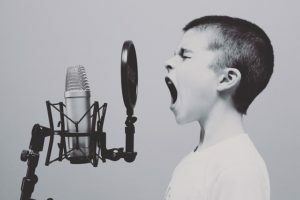 It is now owned by Julian Lloyd Webber, son of famous composer and producer of musicals such as Jesus Christ Super Star, Cats, and The Phantom Of The Opera. Julian has made more than 30 award-winning recordings on the instrument. It is uncertain when the instrument was created. 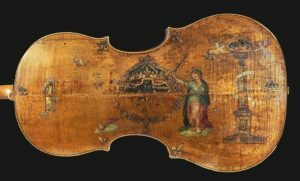 The label inside the cello says 1684, but according to Webber, it is listed in Henley’s book as the last cello Stradivari ever made, in 1736. Duport Stradivarius: it was made in 1711 by Antoni Stradivari. It is named after Jean-Louis Duport, who played it around 1800. 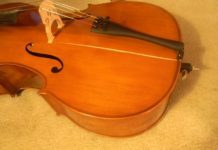 The cello has a small dent, that is said was caused by Napoleon Bonaparte when he tried to handle it but was too rough with the instrument while straddling the cello with his boots. It was later owned by famous cellist Mstislav Rostropovich from 1974 up until his death in 2007. 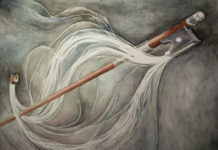 The endpin of the cello is one of its most recent innovations. It arrived at the end of the 19th century. 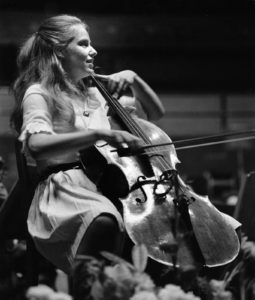 Before that, cellists had to hold the instrument with their legs. It was widely accepted after popular cellist F.A. Servais started using it. Before the 18th, the cello was used mostly as the basso continuo, hardly ever as a solo instrument. 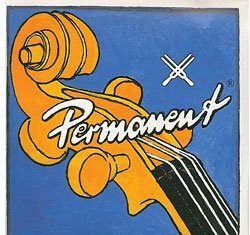 However, the cello started gaining popularity because of it’s versatile and beautiful sound. 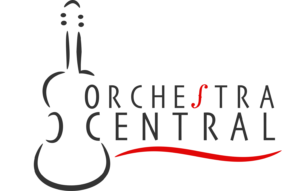 Some of the most famous and important cello pieces are Bach’s solo suites, Elgar’s cello concerto in E minor, Dvorak’s cello concerto in b minor, Tchaikovsky’s Variation on a Rococo Theme, and Richard Strauss’ tone poem Don Quixote, just to name a few. 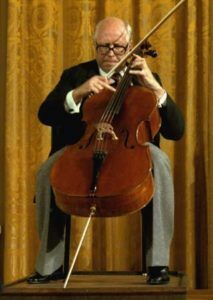 During the 20th century, the cello repertoire grew rapidly thanks to cellist Mstislav Rostropovich, who commissioned and premiered over 100 works. 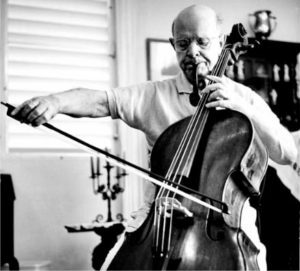 Pablo Casals: Known as the father of the modern technique. He was a Spanish cellist from Catalunya who is especially known for bringing back the Cello Suites to life after many years in the dark. 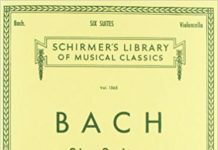 Because of him, this special work by Bach is one of the most famous works known for the cello and a point of reference for all cellists. Jaqueline Du Pre: Best known for her interpretation of the Elgar Concerto. 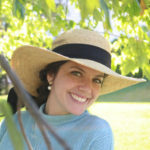 Her short career was put to a stop because of multiple sclerosis. This British cellist had to stop playing at age 28 died when she was 42. 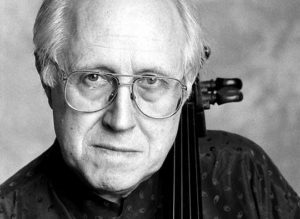 Mstislav Rostropovich: This Russian cellist was responsible for the rapid growth of the cello repertoire during the 20th century. He commissioned and premiered more than 100 works. He was deprived of his Soviet citizenship because of his public position to the Soviet Union’s restriction of cultural freedom. 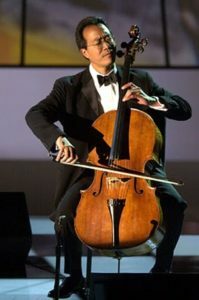 Yo-Yo Ma: The French-born American cellist is known for performing classical as much as many different styles as folk music, traditional Chinese melodies, tangos, and Brazilian music. He has also collaborated with jazz singer Bobby McFerrin. He has recorded more than 90 albums and has won 18 Grammys. The cello has long been thought to be the perfect companion to the human voice. It has a wide range and cellists can find music in 3 different clefs: Treble Clef, Bass Clef, and Alto Clef. 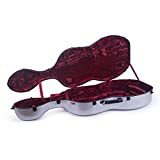 This allows for more comfortable reading, depending on where in the fingerboard you are playing. The cello is one of the few classical instruments that has transitioned over to a more modern sound. 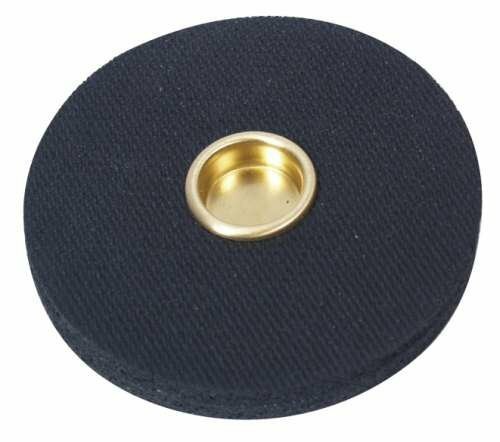 It is very popular in Rock, Pop, and Jazz music. 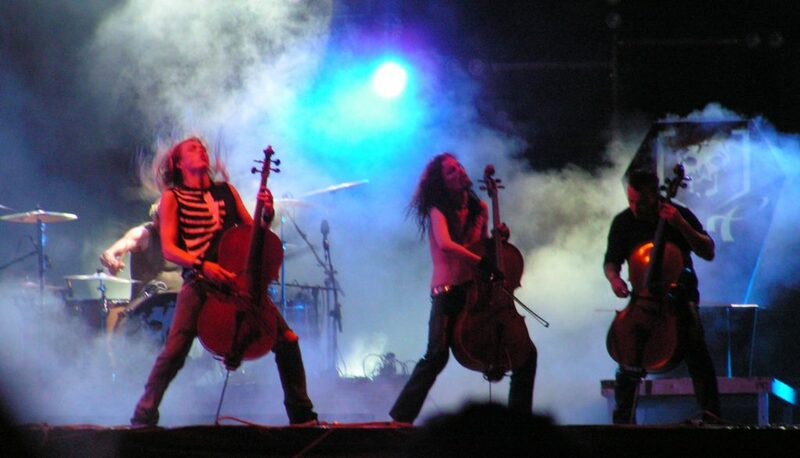 Some of the big names out there are Apocalyptica, 2 Cellos, Piano Guys, and Jazz-Cello among others. Can you think of any more facts about the cello? Comment below!